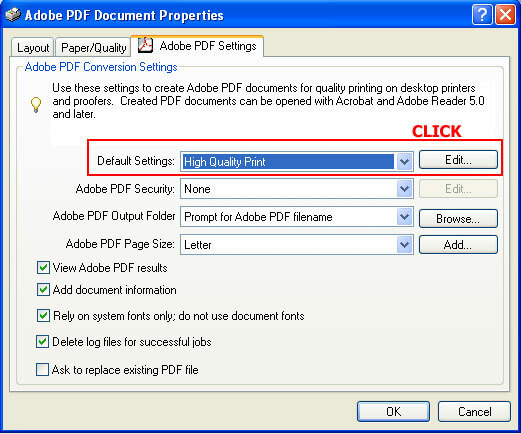 Q: How to Create a PDF File For Print? A: We always recommend you use Acrobat Distiller to create the PDF file. If you do not plan to purchase Acrobat Full Version, you can try some free PDF creation tools , such as... CutePDF and PDF995, etc. Q: Where to configure the PDF job options in Acrobat Distiller? A: If you have the full version of Adobe Acrobat installed, open Acrobat Distiller from All Programs (PC) or Applications (Mac), click Settings top menu, then click Edit Adobe PDF Settings to access the PDF job settings screen. Q: What is the resolution I need to set up in Acrobat Distiller? A: Creating the PDF file for book printing at 600 dpi (Dot Per Inch) resolution in Acrobat Distiller is usually enough for commercial printing. However, any color images or photos embedded in the manuscript can be created or scanned at 300 dpi. The PDF file for full color cover can be created at 300 dpi. Q: How do I set up the correct page size in Acrobat Distiller? A: Open Acrobat Distiller, click Settings, select Edit Adobe PDF Settings. When the General settings are displayed, change the default page size from Letter size to custom size, such as 6" x 9", 5.5" x 8.5" or 4.25" x 7". Q: Are there any specific rules I can follow to avoid any possible issues in printing? 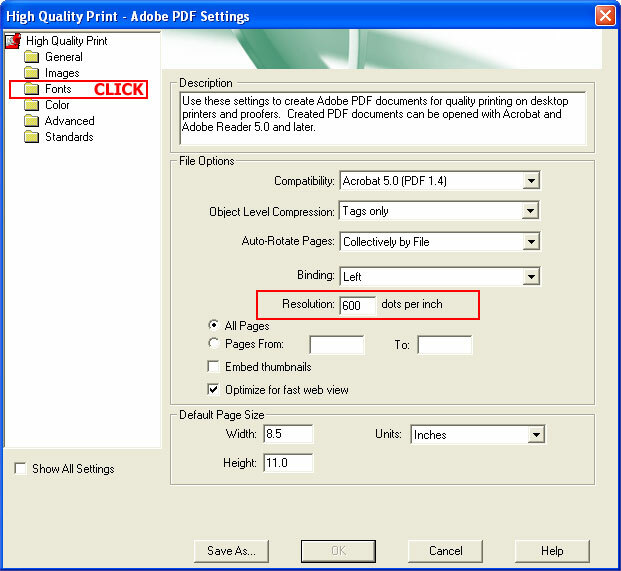 Set the conversion resolution at 600 DPI for manuscript and 300 dpi for cover. Use High for color or grayscale image compression quality settings. Make sure the "Subset embedded fonts when percent of characters used is less than 100%" is unchecked. Acrobat 7.0, you can select to use ZIP compression. Remove All fonts from the Never embed list. 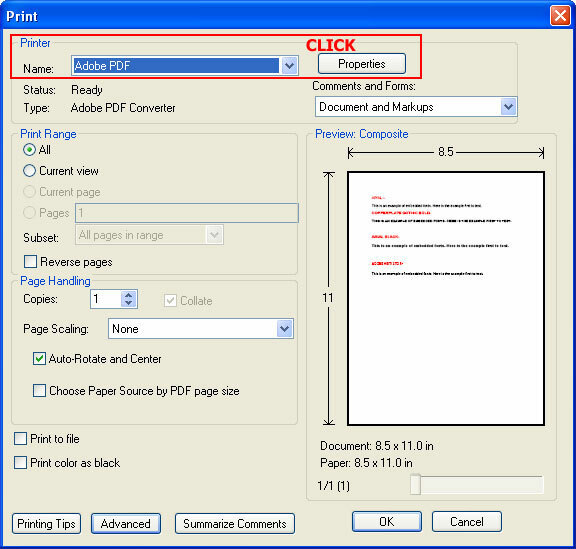 For manuscript, please make the PDF compatible to Acrobat 6.0 (PDF 1.5). For cover file, make the PDF compatible to Acrobat 8.1 (PDF 1.7) or under. 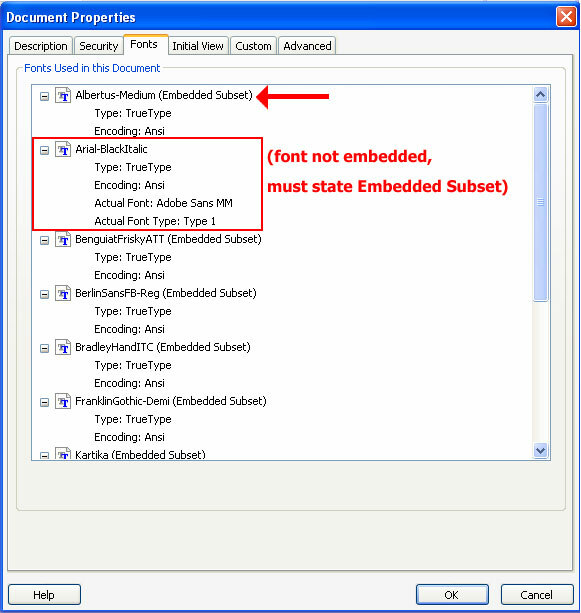 Q: How to validate PDF file to make sure the fonts are embedded? A: In Acrobat open your PDF file. 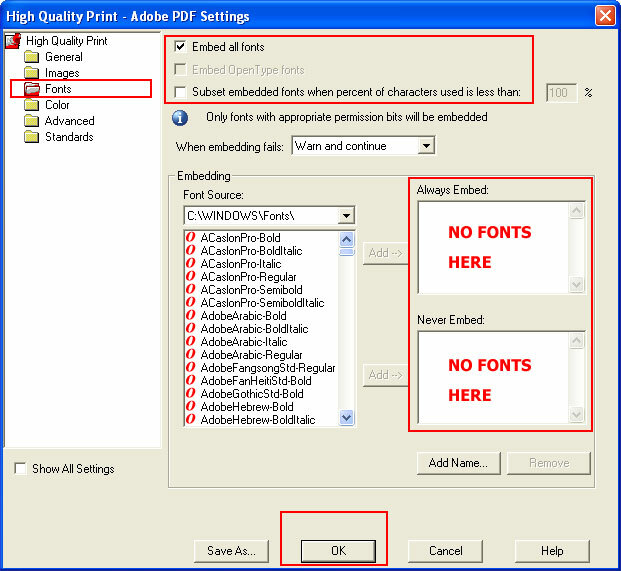 Go to File>> Properties>> Fonts tab. Make sure the fonts are embedded. InstantPubishler is proud to be 100% printed and made in the U.S.A. Copyright © 2001-2019 InstantPublisher.com. All rights reserved. Find news, articles, advice and more on our LinkedIn Group page.